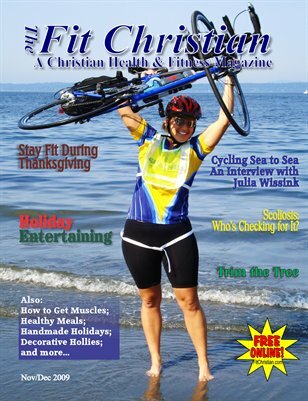 Features: Trim the Tree; Holiday Entertaining; Stay Fit During Thanksgiving; Scoliosis: Who's Checking for It? ; Interview: Julia Wissink. Our Columns: "Miss Communication"; God's Healing Herbs; Gardening with Charlie; Mix It Up with Jenny; Nancy's New Beginnings; Through the Bible; Scripture & Reflection. Departments: Kids4Christ; Food & Nutrition; Exercise the Right Way.